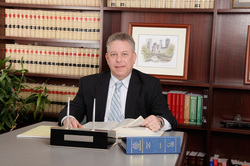 Practice Areas: Family Law; Education Law; Real Estate; Divorce; Child Custody; Child Support. Admitted: 1982, New Jersey, Pennsylvania and U.S. District Court, District of New Jersey; 1983, U.S. District Court, Eastern District of Pennsylvania. Member: Camden County (Member, Family Law Section, Executive Committee) and Burlington County Bar Associations. Biography: Boston University Law School Commentaries, Managing Editor. Lecturer, Family Law and School Law, Lorman Education Services. Reader, State of New Jersey Board of Bar Examiners, 1998-2007. Panelist, Camden County, Burlington County and Gloucester County Bar Associations. Reported Cases: Gerard v. Camden County Health Service Center, 348 N.J. Super. 505 (App. Div. 2002); Board of Education of the Town of Hammonton v. Hammonton Education Association, Lower Camden County Regional School District No. 1 Board of Education; Commissioner of Education, State of New Jersey, 2-00 (January 4, 2000); Mueller, et al v. Ball, School Ethics Commission, State of New Jersey, C09-06 (November 28, 2006); Shaffer v. Shaffer, Superior Court of New Jersey, Appellate Division, A-0884-04T10884-04T1 (December 19, 2005).